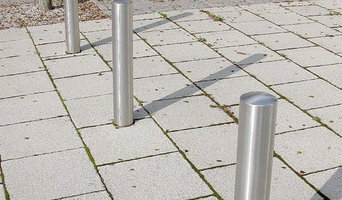 Metafence are at the forefront of perimeter security solutions. As commercial fencing contractors we can provide expert security fencing and Gate automation solutions to meet the requirements of a broad range of commercial, industrial and local authority clients. Our central head office in Reading, Berkshire has allowed us to reach across the south of England and to remain competitive for all clients to ensure as a fencing contractor we can assist. we can provide all ranges of fencing from timber fencing, chainlink fencing, acoustic fencing, steel fencing, palisade fencing and armco barrier to name only a few of the fencing sytems we are able to offer. We are also very proud to offer gate automation and access control systems all in house from initial enquiry through to after care with planned maintenance and service. Our teams of highly skilled engineers with fully equipped mobile workshops will attend site and provide the service with minimum disruption, allowing you to continue with your everyday business. We work closely with contractors, local authorities and schools to offer our services from survey, design and through to installation of a wide range of perimeter fence systems. Fencing Essentials is a leading stockist and supplier of quality fencing products, gates, ironmongery, screws and landscape accessories. 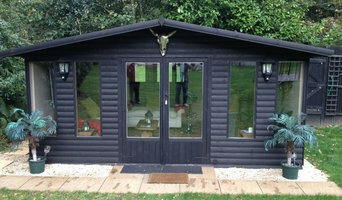 The business is part of the Bawden Group, based in the heart of Wiltshire on the edge of Salisbury Plain. With over 25 years experience in the fencing and landscape industry Fencing Essentials dispatches large quantities of gates, ironmongery and fencing components every week to householders, fencing and landscape contractors as well as commercial business customers across England and Wales. The ethos at Fencing Essentials is to stock and supply quality fencing products not necessarily the cheapest, although prices are still competitive. Add to this exceptional customer service it is not surprising that Fencing Essentials has quickly established itself as a first port of call for those looking for fencing and gates. The same applies to gates, which are even harder to build and install yourself, unless you are a practised carpenter, craftsman or builder. So if you want one-of-a-kind fence and gate designs that can be fitted by professionals, or perhaps just fence repair, then you should take a look at the Itchen Abbas, Hampshire gate manufacturers and fencing contractors listed on Houzz. With Houzz you can browse through gate manufacturers and fencing contractors in Itchen Abbas, Hampshire to find a professional to work on your project. Check reviews, recommendations, ratings and photos of their previous work to decide if you want to contact them about your fence or gate. Gate and fencing contractors in Itchen Abbas, Hampshire will be able to advise you on the best materials to use and how to look after your fencing. Aside from designing, building and installing your fence or gate, a specialist may also offer fencing supplies, materials and fence repair services which will help you maintain your bespoke fencing and gate designs. 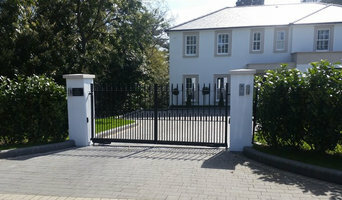 Whether you are looking to build a traditional wood panel fence, commission an elaborate wrought iron gate, want a quaint white picket fence or a large, electric gate to shield your home from public view, you’ll be able to find Itchen Abbas, Hampshire gate or fencing contractors on Houzz that have the specialist expertise to carry out the job. You may find that gate and fencing contractors also work closely with lawn and landscape professionals. Here are some related professionals and vendors to complement the work of fencing & gates: Wrought Iron Workers, Decks, Patios, Sheds & Summerhouses, Cladding & Exterior Contractors, Landscape Contractors, Landscape Architects & Garden Designers. If you already have some garden fencing ideas or even gate designs, then discuss these with your potential fencing contractors to see if they can become a reality. 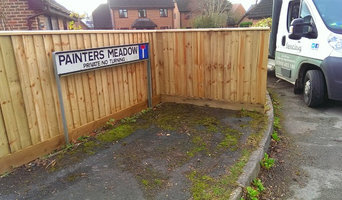 You may find they have to be tweaked slightly, perhaps due to budget, space or Itchen Abbas planning restrictions, but good fencing contractors will be able to come up with a compromise to meet every need or constraint. Find gate and fencing contractors on Houzz. 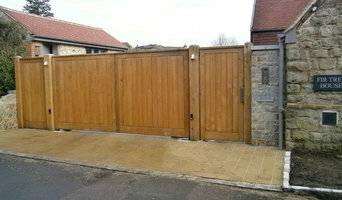 Narrow your search in the Professionals section of the website to Itchen Abbas, Hampshire gate and fencing contractors. You can also look through Itchen Abbas, Hampshire photos to find examples of fencing and gates that you like, then contact the contractor who worked on them.